Tanzi our new chimp had to make it into the collection this year. 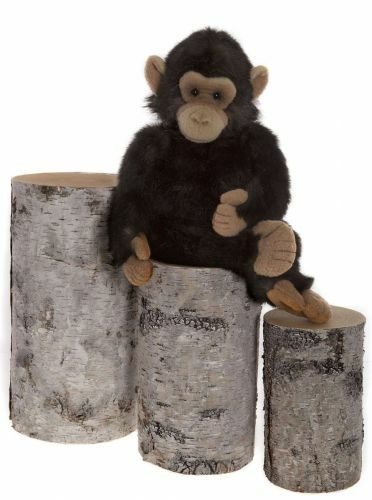 This playful little chappie is bursting with character and has a plush deep silky brown coat. Other details added to finish his look are, his amazing tail, his monkey feet and facial sculpturing which add to his realism, his tiny eyes shine and he has been given a cheeky expression. He is softly filled, and has been designed with slightly bent legs so he is very posable.